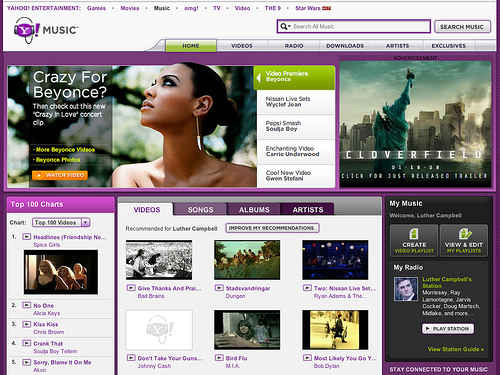 New Enhanced Online Music Site From Yahoo ! 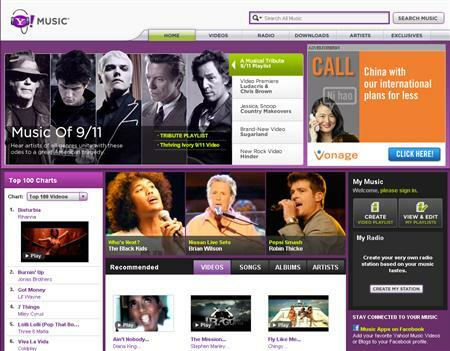 Within few weeks users can see a new music site from Yahoo Inc. This online music site will provide the information of the song and the artists from out side services. These types of information are already being given by Apple Inc or Amazon.com an executive from Yahoo stated yesterday. In a conducted meeting Yahoo executives discussed about the range of ways by which the world’s largest internet destination to feature content from across the web. Scott Moore, the executive in charge of Yahoo media business showed prototypes of Yahoo that they have planned to open other media properties within Yahoo’s network which is going to cover more than 5oo million users worldwide every month. In additional he has told that company will allow the partners to deliver the contents of the main page Yahoo news. Moore in a meeting held at Sunnyvale in California said that after the launching of music site this will become a second most visited web page after its home page.